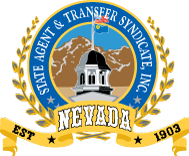 Form a Limited Partnership in Nevada. Limited partnerships have flexibility to govern themselves under either the Uniform Limited Partnership Act, or take advantage of the unique benefits of the Nevada Revised Statutes. NRS Chapter 87A, NRS Chapter 88. Perpetual life of a limited partnership is allowed. Professional use of a limited partnership is allowed. NRS 88 requires a dissolution date, NRS 87A does not. Liability: There is limited liability for the limited partners. Federal Taxes: A Limited Partnership is a flow through entity. Formal responsibilities: The Certificate of Limited Partnership filed with the Secretary of State. A List of General Partners is filed annually with the Secretary of State. A written partnership agreement is common. The Limited Partnership must maintain a registered agent within the state. Regulation: Limited Partnerships are regulated under Nevada Revised Statutes (NRS) Chapter 87 and 88. Benefits: Limited liability for the limited partners, flexibility, frees transferability of a limited partner’s interest unless otherwise agreed. Drawbacks: Unlimited liability for the general partners. © State Agent and Transfer Syndicate, Inc. All rights reserved.